Precisely what you imagined your project could be, only better. Relevant. Expressive. Innovative. These qualities guide our Architectural practice, ensuring that each project delivers enduring value and inspiration. 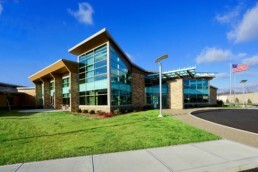 Merging the latest technology with timeless design, VSWC creates spaces for clients and communities throughout Ohio. Industry leaders for over 65 years, VSWC uses an integrated approach to the design process that builds trust, quality, and long-term value to every community we serve. We now have offices located in Mason and Athens, Ohio. Working with you to develop unique solutions, we approach each project as an opportunity to meet both the specific programmatic and budgetary needs, while also improving our communities. A deep understanding of space guides our analytical and inclusive design approach, ultimately planning and designing spaces that inspire discovery and innovation. With an emphasis placed on creating environments that enhance one’s experience, we offer a range of services that include branding, project management, strategic planning, materials selection, and more. There are 4 distinct wings in the Jamestown Rehabilitation Center, each reflecting a healing connection to nature. Private meditation areas and reflection gardens, coupled with color enhanced spaces, create a healing ambiance second to none. 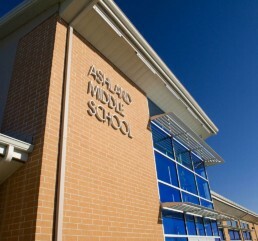 By replacing an antiquated 1919 building, the new 6-8 Ashland Middle School offered the opportunity to reimagine middle school education. 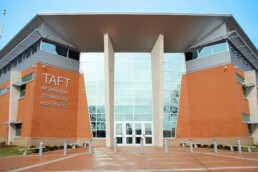 The school is designed with after-hour community use areas separated from the academic classroom wing. With more than seven decades of providing service above expectation, our portfolio of award-winning architecture, planning and interiors projects encompasses all aspects of the commercial built environment. From education facilities set to inspire future leaders to office spaces of the future, we deliver projects that are defining our communities of tomorrow. "Tenured. Creative. Passionate. VSWC’s expert leadership team plays a hands-on role throughout the life of every project. Many of these leaders have been with the firm for fifteen years or more and have set the tone for VSWC’s client-focused culture and services. As renowned architects, designers and planners, our principals steer the firm with perspective, purpose, and passion."